The demolition of the State of Wisconsin’s now closed Central Services Facility along the Yahara River to make way for a new State archives building is proceeding despite deep community concerns over that process and a lack of communication from the Department of Administration (DOA), which is in charge of the project. The DOA had been holding community members and state legislators at arms length all summer over concerns about harmful chemicals and materials at the 100 year-old industrial site and what might be released during the demolition. Despite a productive meeting two weeks ago between the DOA and area legislators Senator Fred Risser and Representative Chris Taylor, the State is refusing to hold a community meeting to answer resident’s questions about the project. Instead, DOA posted an FAQ on it’s website, claiming it provides sufficient information and thus precludes the need for a public meeting. “It’s too bad they are not taking the community’s input into account, no one is saying to shut the project down, but we want to make sure this project is safe and that this project doesn’t endanger our environment and our public health, ” Taylor told Willy Street blog. “And they’re just not giving the community an opportunity to hear from the project manager and the contractor that they are doing a lot of things right. 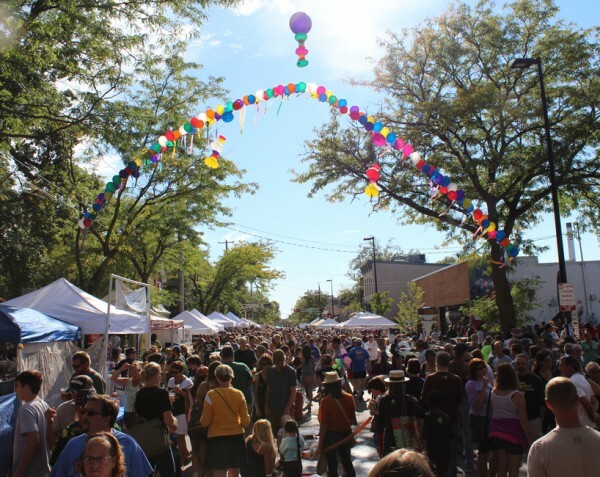 The sun and clear skies were two of the stars of the 2015 Willy Street Fair. Every Willy Street Fair seems like the best, but this one felt extra special. After monsoonal rains pelted southern Wisconsin right up until the early morning hours of Saturday the sky was flawless for the next forty hours. The weather brought out the crowds and fair organizers Common Wealth Development and Wil-Mar Center presented a smartly programmed event with each music stage featuring great acts without an overloaded schedule. After high energy world music all afternoon on the Main Stage Saturday, the partnership with the Madison World Music Festival paid off with the Ester Rada, the day’s final performance. 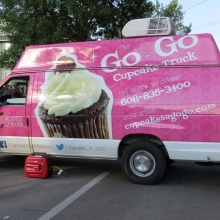 Her soaring vocals and funky backing band delighted the crowd which filled Plan B’s parking lot. At the same time, magic was happening on Brearly Street as Colombian EDM duo Mitu made their Midwestern Debut with style providing transfixing beats that had the crowd pulsating to their music featuring mixers and live percussion. The former Central Services Facility is being demolished for a new State archives preservation and storage building. Residents are concerned the demolition spread toxins that exist from 100 years of industrial activity on the site. 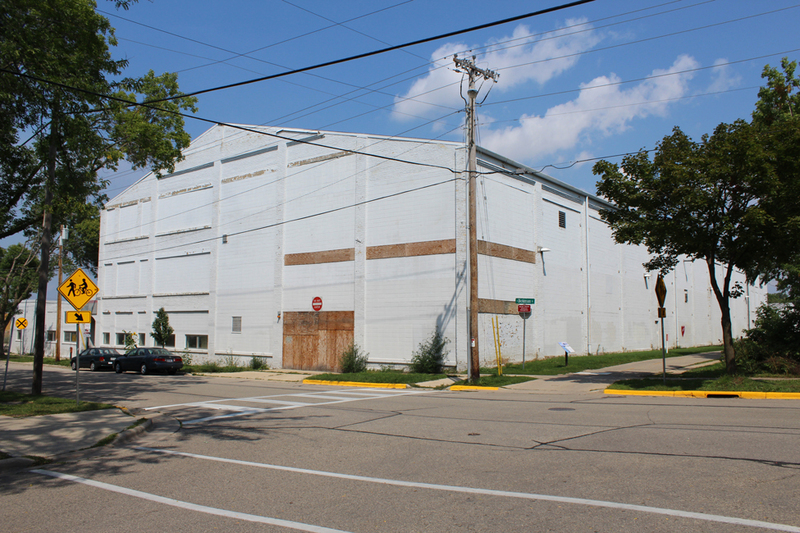 Marquette neighborhood residents are alarmed about the impending demolition of a state storage building at 202 South Thornton Avenue, the former State of Wisconsin Central Services Facility. 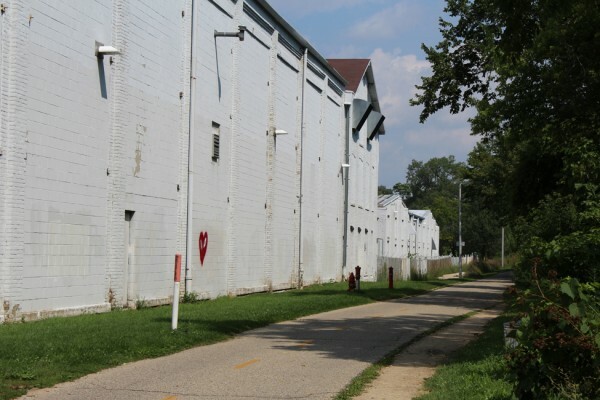 The 100 year-old building served as a foundry, munitions plant, manufactured appliances, housed a printing press and served as a service facility for the state’s vehicle fleet. Neighbors, environmental groups and now local, state and federal legislative officials are concerned the Department of Administration’s (DOA) current Environmental Assessment (EA) far underestimates exactly what types and the amounts of toxins such as PCBs, PCEs, PAHs and other heavy metals remain on the site or have seeped into the ground. There is further worry that the State’s plan to contain those contaminates during demolition is woefully inadequate. In it’s place, a four-story $46.7 Million state of the art archive preservation and storage facility will be constructed on the site along the Yahara River, for the Wisconsin State Historical Society and Veterans Museum. The project, approved in 2013, will include greenspace and Native American ceremonial grounds which are planned for the Yahara frontage. In the future, more expansion could happen to land not in the building’s footprint on the Dickinson Street side which for now will be landscaped. On a pleasant Saturday evening earlier this month the Madison East High School football team was warming up on the gleaming year-old artificial turf of Breese Stevens Field. It was a first look not only for the players, but the coaches, boosters and fans as East has not had it’s own home field since it played it’s last home game in 1974. For Quarterback Ruben Arndt, the lines on the field and the dimensions may be the same from last year when East played at Lussier Stadium, but this year will be different because the Purgolders are coming home when they host Madison West, the last team they played in this stadium 41 years ago. “It’s really special to be back here…for the school. I remember as a kid I’d always go to Lussier [stadium] and watch my brother. It was always fun seeing the team but it never really felt like home…because we were out in front of Lafollette.” Arndt said during a break from drills. 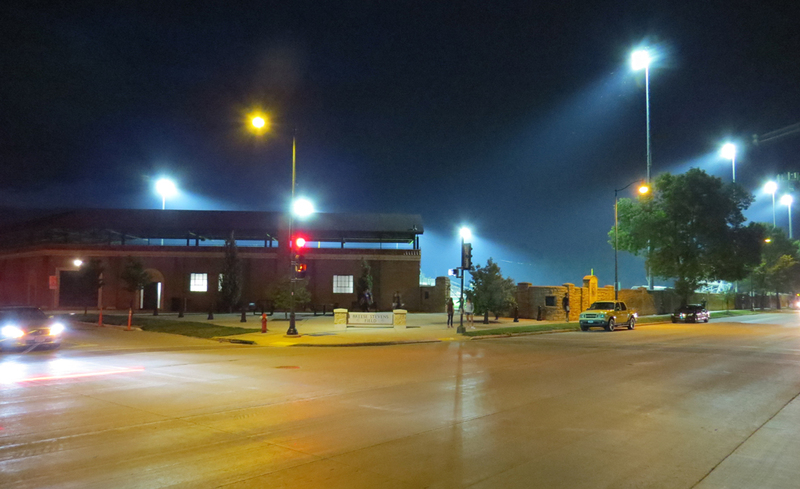 Friday Night Lights and East High School Football returns to Breese Stevens Field, absent since 1975, with a scrimmage on August 8, 2015. It was the fall of 1974 and Terry King had hair down to his shoulders, was 18 years old and feeling great as he walked off field at Breese Stevens after defeating West High School 28-21. 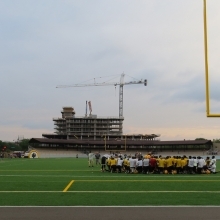 However it would be the last time East High would play football games at the 4,000-seat stadium until this year when Madison West will return for the home opener on August 28th. King was reminiscing out loud to the 2015 East High squad Saturday night (August 8) as they prepared to scrimmage for the first time in four decades. This time Terry King wore the hat of an umpire and led a group of referees that would be monitoring the practice game as a warm-up for them and the players. The team will play another scrimmage in Kenosha next week before opening the season across town against Madison Memorial. Fourth year Coach Steve Erato is excited to be playing at the stadium, a prospect that has been in the works for a year and it gained it’s own momentum as the City of Madison, East High and the community got behind. 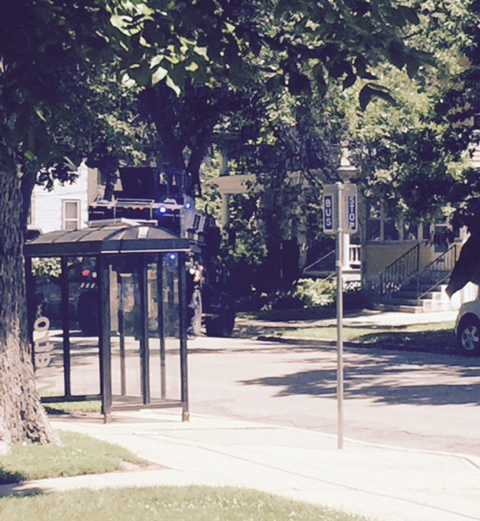 A Madison Police Assault vehicle takes a position in front of 909 Jenifer Street which was the target of a drug raid, June 16, 2015. Madison Police executed a search warrant in the 900 block of Jenifer Street yesterday (June 16) just after 12:30 p.m. as part of a investigation into drug activity. Traffic was blocked off for the entire block while members of the Madison Police SWAT team moved in. Neighbors reported seeing a large military-style vehicle painted in black with Madison Police markings park in front of the home and a public address speaker on the vehicle told the occupants that they [the police] were aware they had guns. Kendall G. Ragland, 36, was arrested during a high risk traffic stop on south Carroll Street and charged with four felonies and one misdemeanor in relation to the investigation. Madison Police Department says that the raid was the result of a seven month investigation which recovered more than 32 grams of heroin and more than 14 grams of cocaine as well as other evidence but so far there is no information that weapons were found; however the investigation is ongoing. No more beeps when Madison Metro bus turn signals are on. 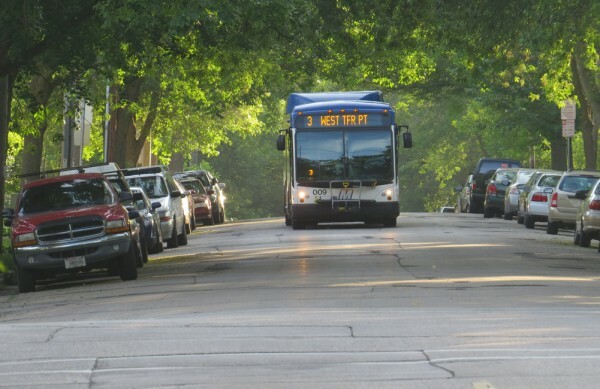 Madison Metro gave a heads-up to alders today in an email on a decision to turn off the audible turn signals that have been driving neighborhood residents crazy throughout the city, especially in quiet areas late at night. Metro had installed the system on it’s buses to increase awareness as the bus was pulling in and out of stops to reduce the chance of collisions. The decision to add the system was partly in response to a fatality several year ago when a turning bus struck a pedestrian on University Avenue. Allison Smith, who lives near the Edgewater in the Mansion Hill neighborhood and on the #81 bus line started noticing the beeping in January. The #81 has a schedule that runs until 2:20 a.m. on weekdays and 3:20 a.m. on weekends and after living through two years of Edgewater construction she started to research the impacts of noise on health. Another proposed mixed-used development at 906 Williamson Street is facing some opposition from the neighborhood and the City Of Madison Landmarks Commission over it’s height, low percentage of affordable housing, green space and demolition of a 4-bedroom single family home currently on the site. Earlier this year Louis Fortis, who owns the Gateway Mall, proposed to demolish the current home and build a four-story mixed used building with 26 apartment units, underground parking, retail space on the first floor along Willy, indoor and outdoor bike parking, rooftop patio and green roof. In the interim, Knoth-Bruce Architects has been working with Marquette Neighborhood Association to earn it’s endorsement since they feel it will be very helpful in their petition before Landmarks which says the design is okay, with somewhat minor changes, but they are leery about approving the demolition. 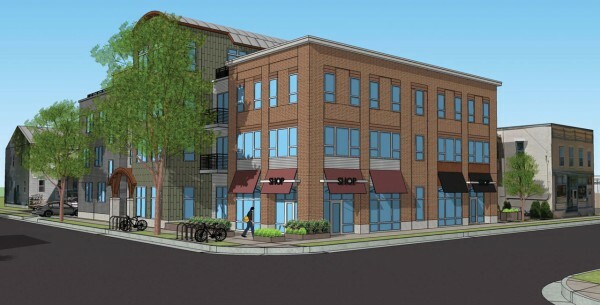 MNA wants to see a shorter building, more affordable housing and the current home preserved. Examining their loot after the bing, frantic hunt in Orton Park, April 20, 2014. 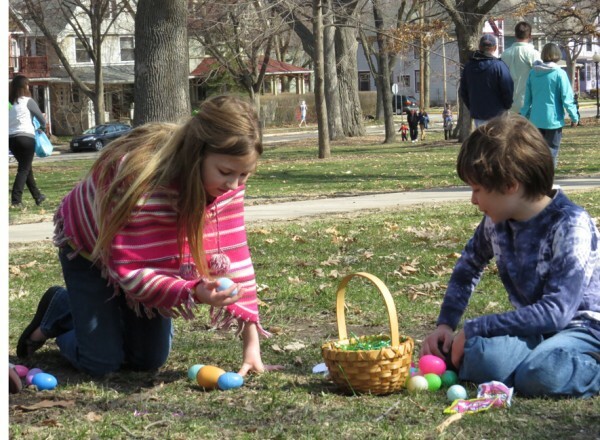 Marquette Neighborhood residents will be holding an Easter egg hunt for children on Sunday April 5, 2015. Arrive at 9 a.m to hide the eggs with the hunt to commence at 10 a.m. Organizers also suggest attendees can bring a dish to share at the gazebo following the hunt. 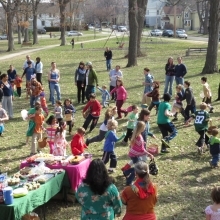 Over 40 children and their families gathered last year to share food and race across the park to find plastic eggs filled with all the things kids like in an egg, various forms of candy. 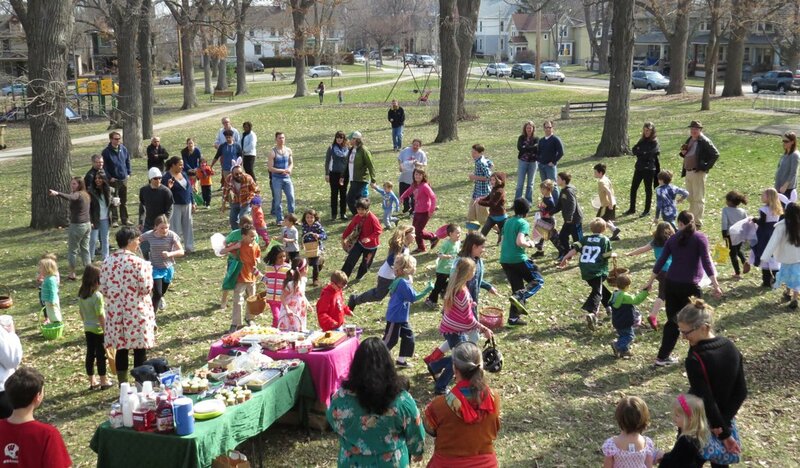 Organized again this year by Meghan Blake-Horst and Lynn Lee, the gathering harkens back to earlier neighborhood events that were smaller and more organic. Participants are made to run in a circle to make sure they are properly warmed up for the hunt.